Inside the Promenade Bar & Grill (not kosher) located in Murray Hill / Kips Bay, you’ll now be able to find a kosher sushi restaurant named Prime Sushi @ the Promenade, officially opened yesterday. The restaurant is seeking to fill a void and provide an affordable kosher option to the multitude of college students and young professionals who have moved into the neighborhood. Situated inside a sports bar, kosher diners can take advantage of the 45 60in HDTVs, with unlimited sports programming. 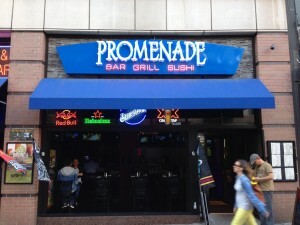 The owner has assured us that Prime Sushi is merely renting space from and is completely separate from the Promenade Bar & Grill. The sushi bar is physically separate from the main restaurant’s food facilities and gets locked at night as well as over Shabbat. 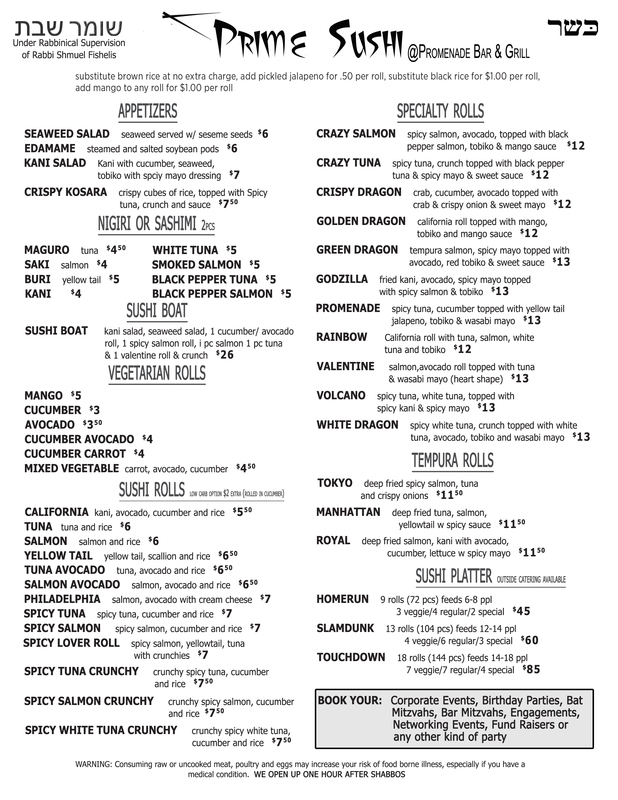 The kosher sushi is available from 4pm – Midnight 6 days a week, and is closed for Shabbat. The kosher supervision is under the hashgacha of Rabbi Shmuel Fishelis.